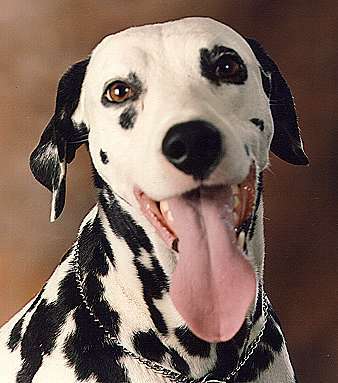 A select kennel, serving the discerning Dalmatian owner. Welcome to our little "spot" in cyberspace which is under continual construction. We have had a great deal of fun designing these pages so please check back often. Click on Oscar's tongue to enter.